Voces de la Frontera Action is running Spanish-language radio and online ads urging Latinx voters to support Tony Evers, and to mobilize their friends and family to vote through the Voceros por el Voto campaign. Voces de la Frontera Action’s television ads supporting Evers will begin running on Friday. Voces de la Frontera Action is holding a march for early voting on Saturday, October 27th. Community members will rally at the Cesar Chavez Statue at El Rey at 1023 S Cesar Chavez Dr in Milwaukee at 12pm before marching to the Mitchell Street Library to vote early. Mandela Barnes, Earnell Lucas, and other candidates are expected to join the march. 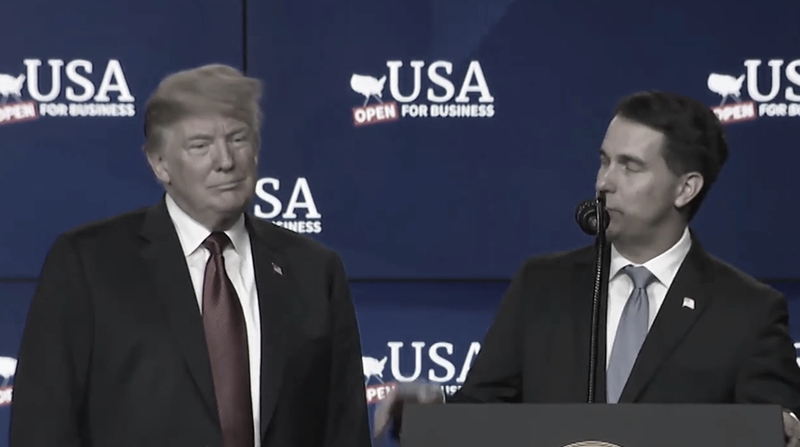 Walker’s ads follow a strategy laid out by Trump and Republican strategists, to appeal to bigotry against immigrants and people of color. In recent days, Walker has joined Trump in attempting to stir up fear of a refugee caravan made up of Central American families seeking safety and a better life. Polls suggest that Walker’s strategy could backfire. In 2017, Virginia’s Republican gubernatorial candidate Ed Gillespie sought to appeal to anti-immigrant bigotry to mobilize the Trump base, but was soundly rejected by swing-state voters, losing to Democrat Ralph Northam by almost 9% of the vote. Even Leah Vukmir in a recent debate claimed that she opposed Trump’s efforts to separate refugee families at the border, which Walker aided. Although there has not been polling on restoring driver licenses or in-state tuition to Wisconsin residents, 68% of Wisconsinites support a path to citizenship for undocumented immigrants and 54% disapprove of Trump’s anti-immigrant policies according to the Marquette Law poll. Forma para votar en ausencia?